What better way to bring a mid-century touch to a modern motif than with a sleek silhouette expertly upholstered in the smooth style of lush faux leather? 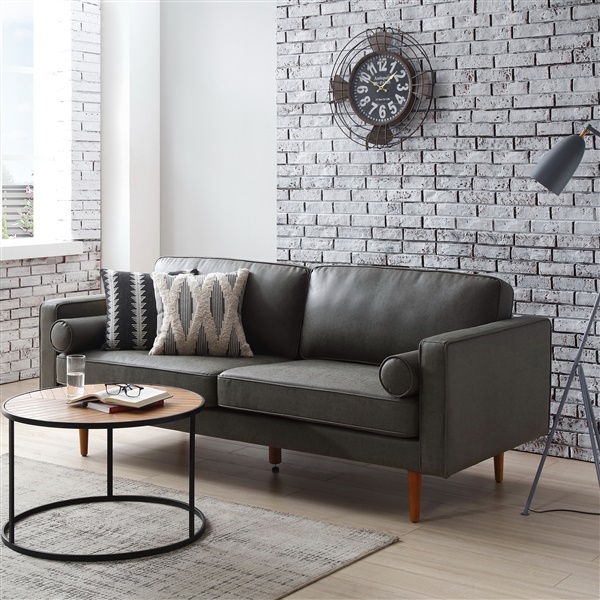 With Inmod's Brooke Sofa, an ideal option for the minimalist or modest-sized space, you'll have your choice of eye-catching yet understated hues that are nearly effortless to incorporate and even easier to enjoy. 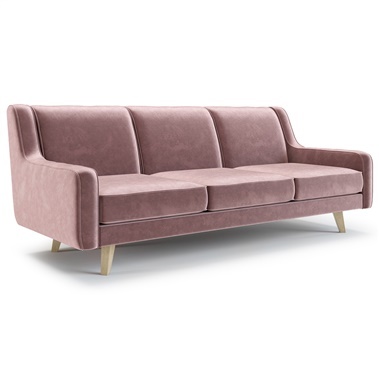 And while the Brooke Sofa is streamlined in design, it is also dense in comfort due to its interior of memory foam. Expertly upholstered in soft, vintage looking tan or dark gray faux leather. A layer of memory foam sits on top of padded cushions for additional comfort. brought my idea to life! Mixture of classic with contemporary style - fitting design for my new living room, thanks! gray looks great with colorful decor!! I love dark gray furniture because I have more room to play with the interior design. I love adding a variety of bright colors when it comes to the decorations and accents - FYI this sofa looks REALLY awesome with bright yellow pillows!! I was recently in the market for a new sofa for my office reception area and wanted something that looked great and had a great price tag. And here I found this sofa!! I ordered it in tan and it arrived perfectly. Looks so very nice in the room and we have gotten a bunch of compliments. I am a sucker for a bargain and was not going to pass up getting this sofa when I saw it. I fell in love with the tan color immediately and had to have it for my tv room. Love everything about it. Luckily for me, my husband didn't need any convincing when I showed him too! We both agreed that was the one. I wasn't in need of any new furniture at the moment but I was so happy with my purchase that I had to write a review. I came across this sofa and loved both colors but the dark gray essentially went better with my current decor. I took a chance and ordered it and it ended up completing my room. It was essentially the missing piece.